A record 39,945 international trademark applications were received in 2007 by the World Intellectual Property Organization (WIPO) under the Madrid System, representing a 9.5% increase on figures for 2006. Developing countries, which includes all of the African countries mentioned above, accounted for 2,108 filings in 2007, representing 5.3% of total filings and a remarkable 10.5% growth over 2006. These figures would be boosted significantly if SA were to join the Madrid System. For the full WIPO press release click here. For information on filings by African based countries using the Community Trade Mark System click here. Notably, as from September 1, 2008, for states bound by both the Madrid Agreement and the Madrid Protocol, only the provisions of the Protocol will apply. "For travellers, there is no standard international label – Fairtrade or otherwise – that will guide you to those holidays that give local people a fairer share of tourism's bounty. 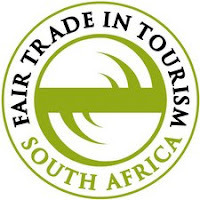 The only labelling organisation that comes close is Fair Trade in Tourism South Africa (FTTSA), a national scheme that has awarded its trademark to 30 travel companies in South Africa. The holidays they offer are the kind you'd expect in this part of the world - game-watching safaris in the Kruger national park, wine tasting in the Western Cape and viewing humpback whales off Plettenberg Bay. What makes them different is that the FTTSA has vetted these companies to make sure they adhere to fair trade criteria such as providing decent wages and working conditions for their staff". It's good to see that there is at least one area of applied IP in which Africa apparently leads the world. Sanitam services (EA) Limited, a Kenyan company, brought an appeal against the decision of the ARIPO office removing its patent No. AP 773 entitled "Foot Operated Sanitary/Litter Bin" from the register due to non-payment of annual maintenance fees. The patent was granted on 15th October 1999 but maintenance fees were consistently late. The Appeal Board concluded that both parties were to blame for the delays in the payments; the Office had failed to send reminders, which it ought to have done. Consequently, the Appeal Board ordered the patent be reinstated in respect of Kenya and Uganda (the appeal was dropped in argument in respect of Zimbabwe, Zambia and Botswana). As in the first Aripo trade mark appeal case reported here, the Office was urged to strictly observe the Protocol (Harare Protocol as opposed to Banjul Protocol) and in particular adherence to time limits, information delivery, procedure and processing of application, procedure on appeals and rules of natural justice. A patent can lapse in a designated state due to non-payment of maintenance fees in respect of that designated state. But it could also lapse if the patentee decides to expressly withdraw it, in this case the patentee was not obliged to "completely" withdraw the patent over the other three countries since they lapsed due to non-payment of maintenance fees. Afro-IP suggests that this decision may be seen as a let off for law firms and patent registrants entrusted to manage patent renewals. GOOGLE has to tailor its offerings to work better on cellphones if it is to make real headway in Africa, the group said yesterday according to the Business Day. In a continent with a dearth of computers, the cellphone is the only way most people can get online. “The majority of people coming online will be doing it through mobile. We have to find better ways to conduct a search over a mobile phone.” Google’s support for multiple languages sees it offer its search services in Afrikaans, Sesotho, Zulu and Xhosa. Merrill said he was keen to add SA’s other indigenous languages. AFRO-IP adds that brand owners ought to consider registering translations of their trade marks to ensure they are properly protected as keywords, which in itself is a dynamic and unsettled area of trade mark law worldwide. The South African Advertising Standards Authority recently upheld a complaint by General Motors against the Professional Provident Society, and insurer, who referred to their HUMMER trade mark. The advert stated "...don't listen to this ad if you're not a graduate professional. At PPS you won't win a Hummer, there's no free gym contract ...". 8.1 Advertisements may not take advantage of the advertising goodwill relating to the trade name or symbol of the product or service of another, or advertising goodwill relating to another party's advertising campaign or advertising property, unless the prior written permission of the proprietor of the advertising goodwill has been obtained. Such permission shall not be considered to be a waiver of the provisions of other clauses of the Code. 8.2 Parodies, the intention of which is primarily to amuse and which are not likely to affect adversely the advertising goodwill of another advertiser to a material extent, will not be regarded as falling within the prohibition of paragraph 8.1 above. In considering matters raised under this clause consideration will be given to, inter alia, the likelihood of confusion, deception and the diminution of advertising goodwill. This is much more stringent interpretation than that of the South African Supreme Court of Appeal in the recent BMW v Verimark decision, available here: In this decision, the court held that the BMW trade mark was not infringed by using a BMW vehicle in an advertisement for car polish. 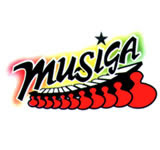 Carlos Sakyi, a leading member of the Professional Musicians Association of Ghana (PROMAG) and a copyright advocate, has blamed the previous administration of the Musicians Union of Ghana (MUSIGA) for what he described as "the failure of Charterhouse to adhere to copyright laws". Charterhouse, the biggest organiser of major entertainment events, including the Ghana Music Awards, was alleged to have "recorded a previous award ceremony on CDs and sold them without the knowledge of musicians who were part of the event". According to Sakyi, MUSIGA was allied to Charterhouse and was entrusted with the enforcement of copyright: as such, it stood a better chance of making Charterhouse do the right thing. MUSIGA president Diana Hopson responded that MUSIGA supports Charterhouse in the organisation of music awards but added: "I don't know if there was an agreement of that sort to commercialize the awards". Apart from the sluggishness of the system and errors highlighted by the judgment, ARIPO has been criticized by some who reason that because all eight members are common-law countries in which an international agreement can only become part of domestic law when enacted into the national law by the national legislature, and because only a few countries have amended their national legislation to give effect to ARIPO registrations, ARIPO filings in the other countries may not have any effect. That said, it is a system which is still oft used to obtain protection in number of countries cost effectively. AFRO-IP welcomes comment from users of the ARIPO system and wishes to find out exactly which countries have amended their national legislation following conflicting reports that only Botswana, Zimbabwe, Lesotho and Swaziland may have done so. AFRO-IP has also come across complaints concerning enforcement of ARIPO marks and would welcome feedback in that regard too. "Artists have been fleeced of billions of dollars through piracy. I call on the public to join the music rights association and law enforcement authorities in protecting our music from pirates masquerading as innocent CD-burning school leavers. Let's transform into deadly whistle blowers willing and ready to report any copyright infringement of this and other works to the authorities". Writing in World Trademark Report, Sade Laniyan (Jackson Etti & Edu, Lagos) explains that the National Information Technology Development Agency has entered into an agreement with the Nigerian Internet Registration Association (NiRA) to regulate .ng, Nigeria's country-code top-level domain (ccTLD). Under the agreement, NiRA will have sole authority to administer the '.ng' ccTLD. Ratification of this agreement is welcomed by trade mark owners. NiRA has already taken steps to introduce measures to curtail cybersquatting, in collaboration with the Directorate of Cybercrime and the Economic and the Financial Crimes Commission. Every application will be verified and subjected to a due diligence evaluation, with applicants being required to demonstrate an actual physical presence in Nigeria. Does any reader know NiRA's own internet address -- if it has one? Finding it via Google seems to be an unproductive pastime. The European Commission recently released this very popular clip (over 11000 viewings) on You Tube explaining the applications of RFID and highlighting it as an anti-counterfeit measure. 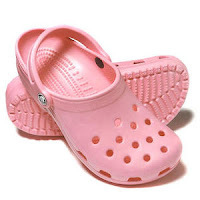 Africa has an increasing problem with counterfeits (see postings here, here, here, here, here and here). Traditional methods of identifying counterfeits including holograms and bar codes, have only been partially effective as counterfeiters become more and more sophisticated. My experience has been that companies tend to take steps to prevent counterfeiting only in markets where they believe the cost is worth it. This often leaves African countries ignored. 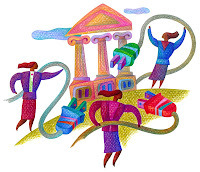 Other companies view it as the identification of a market and even, free brand exposure. However, these approaches overlook the serious problem that it can be for a brand and more importantly for health and safety, particularly when it comes to counterfeit drugs or inferior products. RFID appears to present a solution. Afro-IP's earlier post on Dataweek identified problems with implementing the technology in Africa as well as the increasing demand. The clip below illustrates some of the privacy concerns. However, both reports are positive that RFID can help considerably. "Legal firms in South Africa can capitalize on the progress made by an equally staid service profession that has had some time to embrace branding: accounting firms. Pamela Grayman, National Marketing Principal at accounting firm Grant Thornton, explains that branding plays a “crucial” role there and that it would be “inconceivable” that a major firm in the accounting profession would operate without a branding protocol. In her own office she has “brand champions” who are responsible for assisting staff to utilize the brand properly in both their internal and external communications. Grayman suggests that branding in the accounting field is “at the core of the business” not least because customers are buying intangibles". Outside Africa it is routine for firms in the professional services sectors to engage in simple branding exercises like harmonising the appearance of their office stationery and web presence. More importantly, many have registered their names and logos as trade marks. If nothing else, clients will intuit that brand-related advice from their IP lawyer will sound more authentic if it apparent that the advice is based on practical experience as well as on received opinion. According to a WIPO press release, in a year that saw a record number of filings under the WIPO Patent Cooperation Treaty (PCT), inventors from the Republic of Korea (4th place) and China (7th) consolidated their top ten position in 2007, along with the United States of America (1st) , Japan (2nd) and Germany (3rd). Amongst developing countries, which constitute 78% of the PCT membership, South Africa ranked 4th and Egypt 8th. The largest number of applications received came from the Republic of Korea (7,061) and China (5,456) followed by India (686), South Africa (390), Brazil (384), Mexico (173), Malaysia (103), Egypt (41), Saudi Arabia (35) and Colombia (31). The PCT offers inventors and industry an advantageous route for obtaining patent protection internationally. By filing one “international” patent application under the PCT, protection of an invention can be sought simultaneously in each of a large number of countries. The largest proportion of PCT applications published in 2007 related to the telecommunications (10.5%), information technology (10.1%) and pharmaceuticals (9.3%) sectors. The fastest growing technology areas are nuclear engineering (24.5% increase) and telecommunications (15.5%). 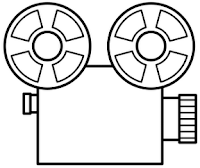 In the much covered debate between Hilary Clinton and Barack Obama, the headlines have snatched onto Hilary Clinton's phrase "Change you can Xerox". Good news for Ms Clinton but a setback for the Xerox company's trade mark team who have a worldwide campaign aimed at clawing their trademark back from the public domain (genericide). To date, the Xerox company has provided a successful example of a company which was able to prevent the genericide of its core trademark through an extensive public relations campaign advising consumers to "photocopy" instead of "Xeroxing" documents (the brand did become generic in Russian, Bulgarian, Portuguese and Romanian though). The Xerox company also has extensive operations in Africa, where its customers will be tuning into the US election extravaganza. Genericide is a problem for brand owners worldwide (examples include owners of Aspirin, Vaseline, Escalator, Rooibos, Hoover and others). The problem is created in part by the brand's own success and also by a failure to properly police and control the usage of the trade mark. When someone as newsworthy as a Clinton (mis)uses the trademark it's back to base one for the brand owner. Perhaps you hold the view that the Xerox company should be so lucky that their trade mark was used by Ms Clinton? After all, they did not have to pay an endorsement fee for the acknowledgement and the coverage of the debate is worldwide. The Ugandan parliament will soon have a hearing on the draft Plant Variety Protection Bill, approved by the cabinet early last year. If passed unmodified, the bill is likely to entrench the rights of breeders and companies while curtailing the rights of small farmers to exchange, save and breed new varieties using hybrid seeds accoring to this AllAfrica report. "There is an inherent conflict between small farmers' and breeders' rights. Breeders are often the companies that pay research institutions to propagate new hybrid seed varieties. Hybrid seeds are bred artificially to improve the characteristics of plants, such as yield, appearance and disease resistance." "If the bill is passed by the parliament, the protection of breeders' rights is likely to further increase the availability of hybrid seeds on the market. As this happens over time, certain forms of traditional seeds will become scarce, threatening the biodiversity of the country and the region as well as the financial viability of farming for the rural poor." The Ministry of Information and Broadcasting Services in conjunction with the Zambia Revenue Authority (ZRA), security wings and other stakeholders have intensified the fight against piracy in the country, according to The Times Of Zambia. Recently, the Anti-Piracy Squad in Nakonde conducted raids on buses and confiscated pirated products among them DVDs, VCDs and audio tapes worth billions of kwacha from traders dealing in the illegal business. Other stakeholders interested in defeating this problem include Zambia Bureau of Standards, the Patents Office, the Ministry of Agriculture and the Pharmacy and the Poisons Board. The Nakonde raid was also covered here. Afro-IP notes that Zambia's intentions to combat piracy follow recent similar initiatives in neighbouring Tanzania, which shares an access route via Nakonde. See Afro-IP reports here and here. Nationmedia reports that East Africa’s first large-scale factory for new-generation anti-malaria bednets, which is expected to produce 10 million units per year, is soon to begin full-scale production. This venture, a 50/50 joint venture between Sumitomo Chemical (Japan) and A-to-Z Textile Mills (Tanzania), will be run by a subsidiary of the two, Vector Health International (VHI), which began a royalty-free technology transfer programme in 2003. When it is fully operational it will directly employ 3,300 people and support up to 30,000 others. A-to-Z Textile Mills, a medium-sized business founded in 1966 in Arusha as a small garment manufacturer, pany began making polyester bednets in 1978. 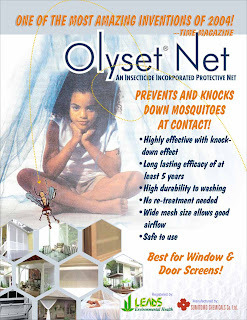 VI will produce Olyset Net, a type of long-lasting insecticidal net, which malaria experts say can be used for more than five years without requiring reinforcement with additional insecticides (most conventional nets last about three years and require occasional re-treatment to remain effective). Radio frequency identification (RFID) provides benefits that surpass other alternative solutions, particularly bar codes. Due to these flexible benefits, RFID has the potential to make a significant impact in Africa according to Dataweek. 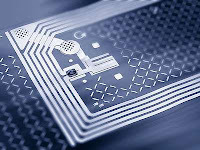 A variety of factors currently influence Africa's demand for RFID applications. The need to reduce theft, fraud and counterfeit products is one of the key drivers of demand. The technology is able to track and trace the location of products more accurately than past technologies, which leads to a reduction in losses. The technology's ability to increase efficiency, as well as government support for RFID projects and international policies that require RFID applications on specific goods for import, such as beef products, are also influencing the uptake. The continued decline in prices of the technology will be a key factor in increasing the demand for RFID in Africa. Low cost tags will be particularly appealing to low value/volume items, where the market for RFID is currently small. “The gains we have made in fighting piracy can only be sustained through the highly committed and combined efforts of governments, corporate and individual users. I believe that awareness on the negative effects of software piracy, in terms of financial losses, data corruption and systems damage, should be motivation for more people to take stronger courses of action against IPR violators”. A recent BSA study has shown that concerted anti-piracy efforts in the Middle East and Africa have been particularly effective in controlling software piracy rates, which dropped in 19 of 26 countries. The support of particular governments, such as Morocco, has been cited as a key factor for this positive development, as a direct result of its strong IPR legislation. The application deadline is 1 April 2008 and candidates may register online here. Places are limited. Ivory Coast will sign a definitive Economic Partnership Agreement (EPA) with Europe in June, according to Reuters, believing that it will open the door for other West African countries to do likewise. African Integration Minister Amadou Kone said Ivory Coast was advising regional powerhouse Nigeria on how to seal an EPA, designed to replace preferential trade terms for former European colonies that expired last year. Nigeria has so far publicly shunned any talk of a deal. Ivory Coast and Ghana, the world's top cocoa exporters, broke ranks with their partners in the Economic Community of West African States (ECOWAS) last year to sign interim deals to safeguard favourable terms for their key agricultural exports. These interim deals only covered trade while the definitive EPAs are expected also to cover services and a host of other areas such as intellectual property and government procurement. ECOWAS gave its blessing for its 15 member states to sign interim trade deals, but urged them to move forward as a bloc to the signing of a regional EPA. Earlier Afro-IP post on EPAs here. NAFDAC, the National Agency for Food and Drug Administration and Control in Nigeria, will reportedly soon start using serialized holographic labels to safeguard NAFDAC's registration numbers on registered drug products. According to AllAfrica, the new labels will prevent counterfeiters from copying and faking NAFDAC's numbers. N22 billion worth of fake drugs have been destroyed in the past six years and more than 45 offenders convicted by the courts. The Law Society of Kenya (LSK) committee has made a ground-breaking proposal that if implemented would allow law firms to advertise their services in the media according to an allAfrica report. A member of the LSK told Kenya's Business Daily that "the draft was the first step in a process that aims at amending the law that prohibits advertising legal services, citing it as one of the oldest and most retrogressive clauses in the Kenyan law books. He said the advertisement of legal services would raise the level of competition among lawyers to a new level, and also open a new revenue stream for advertising firms and media houses. In addition, it would open a protracted debate among lawyers themselves who are deeply divided over the subject." Business Daily reports that Kenyans have been listed among African consumers at highest risk of exposure to counterfeit drugs. In Kenya a National Quality Control Laboratories and Pharmacy and Poisons Board survey, conducted two years ago, found that nearly 30% of the drugs in the domestic market are counterfeit. The situation has reportedly since worsened, with the Kenyan Association of Pharmaceutical Industry estimating that some $130 million worth of counterfeit pharmaceutical products are sold in the market annually. This has repercussions for the market as well as for consumers: last year, Chinese company Holley-Cotec Pharmaceuticals was forced to recall 20,000 doses of its Duo-cotexin malaria drugs after it discovered that an illegal ring was manufacturing a version with low active ingredients and selling it at one fifth of the market price. Of the 15 candidates announced by the World Intellectual Property Organization (WIPO) in the forthcoming competition to be appointed Director General, only one is from Africa. He is James Otieno Odek (Kenya). Professor Odek, currently Managing Director of the Kenya Industrial Property Institute and Chairman of the Paris Union, read for his doctorate at the University of Toronto, where he wrote a critical review of the function of patent law in Kenya. Professor Odek's full CV can be read here, along with his letter of nomination. On a recent flight between Johannesburg and London I was offered a glass of wine with my meal which I gratefully accepted. I was then handed a good tasting red from a South Africa Winery called GOATS DO ROAM. 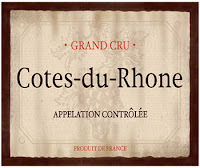 Naturally, I spent the meal pondering how to eat my meal without disrupting fellow passengers and also (as IP people can tend to do), if this increasingly cheeky red had caught the attention of the those who look after the COTES DU RHONE appellation. I have since learnt that the French did object and was hoping that someone could point me to a decision (if there is one) or provide further comment. Mr Arafeh, Zain’s Chief Operating Officer, conceded that it is not an easy task to change brands that people have become attached to, but was confident that Celtel subscribers will stick to the network given the added advantage of global connectivity. “It is still the same quality of service; if your promise to the local market remains the same, people will continue believing in your brand,” he said. Rebrand successes include Marathon's change to Snickers and Health & Racquet Club's change to Virgin Active. Famous rebrand failures include the UK Post Office's attempt to rebrand itself as Consignia and PwC’s attempt to rebrand its consultancy arm as Monday. "The collapse of the Zimbabwean dollar, brought about by isolationist and internationally unacceptable government policy, has led to the dramatic fall of the country’s drug market. Consequently, the value of the Zimbabwean pharmaceutical market is significantly lower now than it was a decade ago, with little hope of significant recovery in the face of the continuation of the same policy regime. The drug market will also continue to perform below its potential, despite a sharp inflation-driven increase in drug prices. ... Rampant counterfeiting, difficult political and economic environments and the biased regulatory regime will continue to render imports minimal, as will the virtual collapse of the official healthcare system. ... foreign players - and multinationals in particular - will continue to sideline Zimbabwe in the face of the dire regulatory, political, economic and business environment. Even Indian generics imports might be in jeopardy if Novartis wins its challenge over the Indian patent law, which would prevent the manufacture and export of copy products. A glimmer of hope is provided by the Indian Venus Remedies strategic tie-up with a local distribution company". 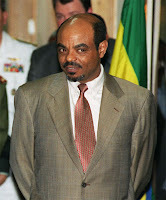 Nazret.com reports on a speech by Ethiopian Prime Minister Meles Zenawi at a discussion programme organised by the Ethiopian Economic Association as part of a ten-day African Economic and Business Summit commencing on 1 February. In his presentation he emphasised that there could be no development without technological development. However, African nations faced many problems when acquiring technological skills and developing new products on the back of the existing technological base largely created in the developed world. The product of such work is unlikely to be patentable and any innovations that are made are vulnerable to the poaching of employees. AllAfrica reports that business development consultant Benjamin Okyere Boateng has accused the Ghanaian government of flouting the terms of a business agreement, following which the concept of the multibillion dollar "Ghana2kplus" project was subsequently stolen. Boateng, the Managing Director of Agrocomotel and former Vice President of the Association of Ghana Industries (AGI) is seeking an audience with the President of Ghana which will focus on, among other topics, the alleged disrespect for intellectual property rights by professionals, politicians and civil and public servants. Legal action is threatened if a settlement of his claims cannot be successfully negotiated. 7. 12% of all of Africa's filings were made in 2007. Whilst these statistics are informative they have their shortcomings. For example they do not include filings of African offshore companies whose addresses may be in tax effecient IP countries such as Switzerland. They also exclude filings which are within Europe but not through the Community System ie through the Madrid Protocol or through the national route. In addition, as Africa is often called upon to manufacture or provide raw materials there is often little need to file trade marks. 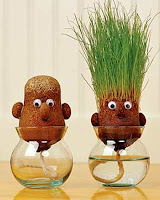 They are also subject to the accuracy of Afro-IP's abacus. South Africa has launched an initiative to grant extended protection to traditonal knowledge. The parliamentary committee on trade and industry was told that legislation would be introduced to include TK protection in all existing IP legislation. The bill has not yet been made available for public comment, but appears to have far-reaching implications. See http://www.sabinet.co.za/sabinetlaw/news_par560.html for more information. According to Business Report, 10 Directors of listed public company Simeka Business Solutions Group have given an ultimatum by the SA High Court to comply with their court order or face 30 days in jail. On 20 February 2007 the Court issued an order for Simeka to stop using the abbreviation BSG, a trademark used by a competitor, Business Systems Group. The Simeka company and their directors were required to remove all references to the letters BSG from their signage, correspondence, letterheads and Internet domain name but almost a year later had not complied, forcing their attorneys to seek an order for contempt of Court. SA has a problem with overcrowded jails so this order shows the seriousness with which the Court held the contempt and the infringement. Trade mark infringement per se is not generally seen as criminal act, unless it is counterfeiting. The USA, UK and Thailand are examples other countries that have recently threatened or put people in jail for counterfeiting. For famous three letter trademark enforcers of a different kind click here and here and here. Indigenous groups and other local communities are demanding protection for their Traditional Knowledge and Heritage, but is the World Intellectual Property Organization listening? Afro-Ip weblog is indebted to Dalindyebo Shababala for drawing their attention to the proposed framework for the protection of Traditional Knowledge published by CIEL and entitled “THE GAP BETWEEN INDIGENOUS PEOPLES’ DEMANDS AND WIPO’S FRAMEWORK ON TRADITIONAL KNOWLEDGE”. The 16 page report is available on CIEL’s website here. "Traditional knowledge is usually perceived to belong to the ‘community’ rather than individual members of the community that take the responsibility of custodianship, use or application of the traditional knowledge. 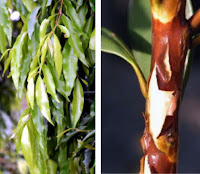 In addition, for traditional knowledge holders, protection of such knowledge encompasses the preservation and safeguarding of such knowledge to ensure its continued existence and development." "Indigenous and other local communities have reiterated that the current IP system provides inadequate protection for their various forms of traditional knowledge and has in fact facilitated the misappropriation of their knowledge." "IP can be simply seen as a policy intervention designed to reward innovation and creativity but also to ensure that the product of our endeavour is not overprotected to restrict access to the public. It is our argument that the public broadcaster has a duty to its viewers to increase the quality and the diversity of programming and to maintain its audience share. Given the budgetary constraints, this can only be achieved by shifting to another model of acquisition, based on the licensing of primary rights and revenue sharing on other platforms, and secondary rights. It is only this form of terms of trade that accommodates for an inflow of third party investment and the concomitant increase in quality programming". Standard Bank plans to invest $25million in Angola to set up a commercial and investment bank and offer retail banking services. According to a quote in Reuters' report "Angola is an exciting market with lots of potential, there are lots of unbanked people". Angola is experiencing an economic boom, sparked by oil revenues from offshore fields. David Munro, the CEO of Standard Bank's corporate and investment unit was quoted in 2006 as saying "There are more than three countries, including Nigeria, where we see opportunities for acquisitions or organic growth" In July last year, Standard Bank bought Nigeria's IBTC Chartered Bank in a deal worth around $400 million, expanding its footprint in Africa's most populous country. In the meantime, Standard Bank's sale last year of a 20 percent stake to China's biggest lender Industrial and Commercial Bank of China (the largest foreign investment in Africa at the time) has just been approved, according to this Reuter's report. "So he made an aeroplane coffin to take her to heaven." So, did Emmanuel get a licence from The Coca-Cola Company or from Daimler Chrysler, the owners of their respective intellectual property rights? Did he need to? Should those companies care and … what would your coffin be? Feel free to comment here. Did you know? The Ghanaian Trade Marks Act which came into force on 1 January 2004 introduced service mark protection and protection for well known marks. Passing off is also a recognised action in Ghana for the protection of goodwill. "This is the first official meeting organized by the Japanese government for discussion on cooperation with Africa in the intellectual property field. Upon approval by the Diet, the JPO will establish a fund aimed at assisting Africa in developing human resources in the intellectual property field, by increasing the amount of its annual voluntary contribution to the World Intellectual Property Organization (WIPO) by 0.11 billion yen, starting FY 2008. At the conference, to which WIPO representatives and the heads of the African Regional Intellectual Property Organization (ARIPO) and the African Intellectual Property Organization (OAPI) were invited, an agreement was reached on the future direction of the support for Africa and how the support fund program should be established and implemented". "ARIPO, OAPI, WIPO and African countries welcomed the JPO’s plan to support Africa through its voluntary contribution to WIPO, and expressed the expectation that human resource development assistance financed by this fund would contribute to the self-sustained development of Africa’s regions by fostering legal, economic and public administration professionals with expertise in intellectual property. It was agreed that ARIPO and OAPI should cooperate for the implementation of the fund program, and that the JPO and WIPO should hear proposals from African countries and work in cooperation with ARIPO, OAPI and other related organizations to carry out projects under the fund. The results of the conference will be incorporated into the discussion at the Fourth Tokyo International Conference on African Development (TICAD IV) to be held on May 28-30, 2008". Algeria, Egypt, Nigeria and South Africa are the only African countries that appear to have developed a space exploration and development policy, according to an article in South Africa's Engineering News. This article also reports that, of the six African-owned and operated satellites in orbit around the earth (three earth observation satellites and three communications satellites), not one is South African: three are Egyptian, two are Nigerian, and one Algerian. "African states should not be forced to agree to provisions in regional or bilateral agreements which impose which impose ‘WTO-Plus’ commitments, in areas such as services liberalization, the lowering of tariffs on agricultural products, or a strengthened protection of intellectual property rights, especially as regards patents on plants". "The manufacturers in the US were so impressed with my business plan and vision that they decided to give us the exclusive rights to selling the product in South Africa and Africa. We are the only small business to have done so because the rest of Shoebby distributors around the world are all big retailers”. 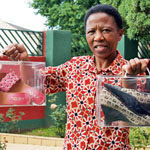 She is currently operating as a direct marketing business where customers place an order with her and pay for the product before receiving it in the post.